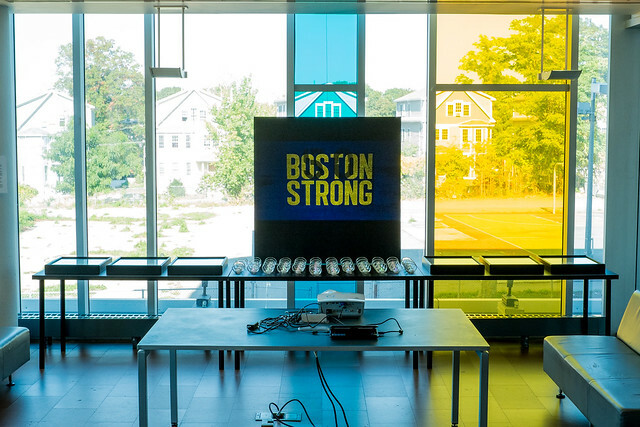 Samples of artwork from the second iteration of the Boston Strong? exhibition at the Grove Hall Branch of the Boston Public Library, August 25 to September 25, 2014. Shea Justice presented topical drawings, paintings and collages - continuing the work that he has been producing on current events for over a decade. Jason Pramas presented a work of conceptual art based on his research on the five major corporations and one major non-profit that donated one million dollars apiece to the One Fund. To check out the background research for his work Boston Strong? click here. Samples of additional artwork from the first iteration of the Boston Strong? exhibition at Community Church of Boston, April 15-22, 2014. Darrell Ann Gane-McCalla presented charcoal sketches over newspaper collage.